Concord author and poet Shahi Sadat grew up in Jalalabad, Afghanistan until the Soviet invasion of the country in 1979 and the subsequent extremist rebellion forced his family into refugee camps in neighboring Pakistan. Later on, he fled to Germany, and ended up in the US, where he's been living since 1990. 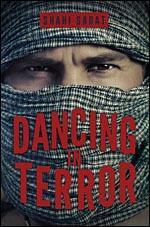 His latest book, Dancing in Terror, was especially inspired by the strong Pashtun women who raised him – his mother, the village storyteller, and his beloved nanny Lakhta. KALW’s Hana Baba sat down to talk to him about his work. A note to our listeners: there are some graphic descriptions of violence in this interview. HANA BABA: How painful is it to hear that some of your own people have been so brainwashed and radicalized that something like this could happen, that they could do this to their own brothers? SHAHI SADAT: You know these are certain people in the world that commit crime and justify it that they’re representing God, and they do whatever they want to do. They destroy humanity, they kill others in the name of God, and that’s the only way they can justify their crime.